"Roseanne" Reunion! Rosanne Barr Surprised By TV Kids on "The Talk"
The Conner clan is back together again! Roseanne Barr celebrated her 62nd birthday with one amazing reunion with three of her on-screen kids from the hit ABC series, "Roseanne," during an appearance on "The Talk" on Monday. Co-host Sara Gilbert, who played daughter Darlene, surprised the comedian by bringing out her onscreen siblings, Lecy Goranson (Becky) and Michael Fishman (D.J.). Replacement Becky, Sarah Chalke, was MIA. 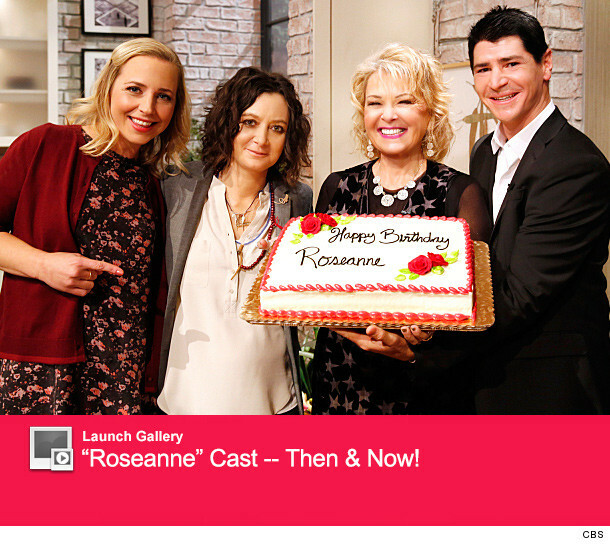 "Speaking as Darlene, on behalf of Becky and DJ, I think they would want to wish you a Happy Birthday," she told Roseanne, before she was joined by the other two "kids." But, the ladies of "The Talk" had more surprises for the veteran actress! Laurie Metcalfe, who played her sister Jackie, also shared her birthday wishes for the newly-blonde actress via videotape. Barr also revealed she got a call from John Goodman, who played hubby Dan, on her special day too. Check out the clip above to hear the TV kids' favorite memories of the Conner matriarch! 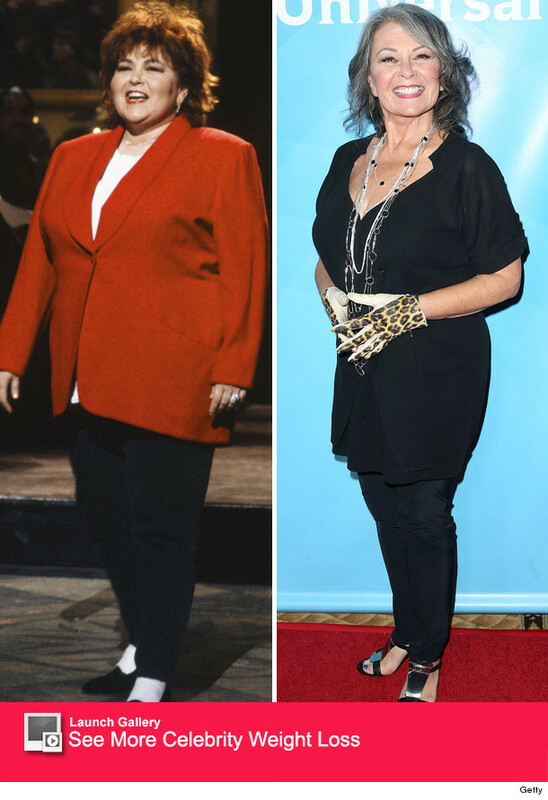 Roseanne looked better than ever on the morning show, showing off her fit frame after dropping a considerable amount of weight. So, how did she lose the extra pounds? "Crack!! I'm doing crack," she recently joked to Us Weekly. "I'm just doing the things you're supposed to do...you know, moving more, and eating less." Sara Gilbert Announces Pregnancy on "The Talk" -- See Cohost Freakout! Julie Chen Reveals Plastic Surgery Past -- Why'd She Do It?